3 pole right-angle 1/4" professional phone plug, gold contacts, black shel. 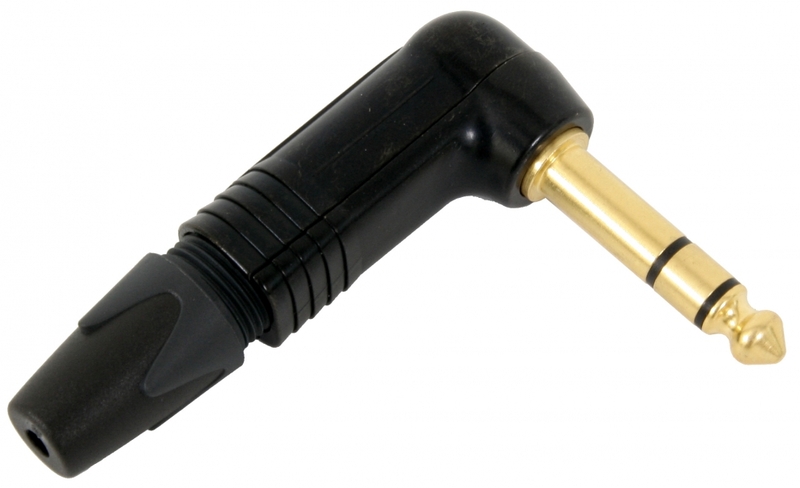 The heavy duty professional phone plug series improves on the design of the existing C series by offering the thinnest available A-gauge 1/4" plug with unique Neutrik chuck type strain relief on the market. The slimline shell with a width of 14.5 mm meets the most recent requirements for highest density jackfields (15.88mm jack pitch).